Changed my banner and layout again. Hehehe... yea okay the layout colors are basically almost the same. But its just the placing a bit different. I thought the other one was a bit sloppy. I think this one is a bit better? Hahaha... hope so. Anyways, Valentine's day is coming up and so I decided to change the banner. Decided to ft. Boscolie because I dearly miss them together! And I also read that Myolie admitted that she had got a new pursuer =\ and also want a Boyfriend. So I thought why not feature it on our beloved Boscolie! It was a bittersweet moment and my heart definitely drop a bit reading those news. Pretty sure it was the same for you all right? I actually first saw it on twitter and of course had commented. Although, Myolie has a new pursuer doesn't mean Boscolie can't happen again! As long neither of them is marry then they still have a chance! "Although, we had separated, memories of the days we had spent together filled my head. Our precious memories will never be forgotten. I'm thankful we can stay as Best Friends. I do hope that you can put me aside and don't linger over our memories anymore. And to stand back up to find love & happiness. I do hope that one day Boscolie will reconcile and finally get marry! Just like Andy and Sammy and the newlyweds Ekin and Yoyo Mung! Best Actress Award is another huge hype after the Best Actor. Ever since 2010th Best Actress award was over. I really have no idea who this award should belong to. Last years best actress award, I really felt that no one deserve this award. (You can read my thoughts to last years award here and here) But, doing some thinking and coming to a conclusion, Myolie did deserve it out of all. To me, I think that Best Actress award shouldn't be base on only one series that an actress is getting all the hypes in. Best Actress Award should be given to an actress that had put in lots of effort and improvement in all her series throughout the years! All her hard work through out and not just one series. But after all, the award is just an 'title' and for an actress to receive that award, its just an 'beginning' to their stardom. It shouldn't be the end; it should be their next step in acting. Each year, the HK media always write all these nonsense that the Five Fadans are hating each other and fighting for the Best Actress award. But inside they are really good sisters and friends. They are not fighting each other, they are rooting and supporting each other for the award. And to them, the award means nothing more than just an simple accomplishment. And of course they know who truly deserve the award. 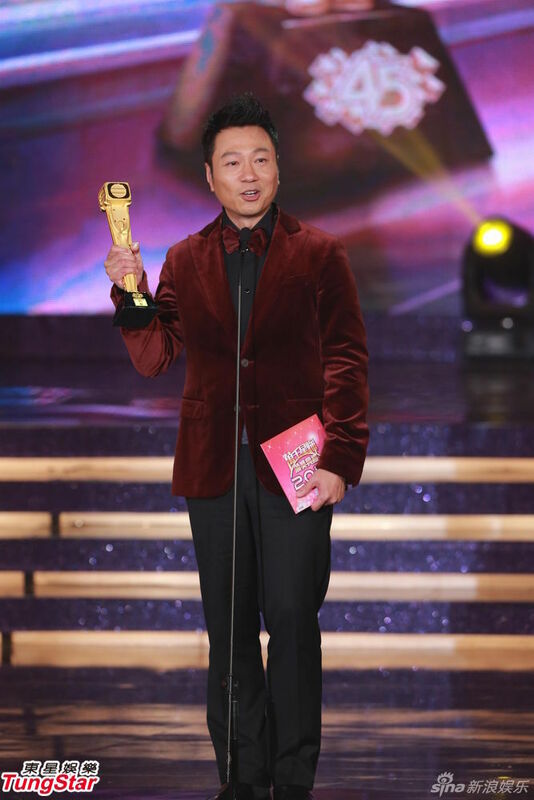 What I feel like is that TVB is simply given out the award in order now. Last year, Myolie and this year Tavia. Next year, either Kate, Fala, and Linda. It just goes down the order. Hahah... well anyways, I'm saying that the award really sat empty in my heart. I have no idea who should truly get the award. Well of course, Myolie had received it last year and this year she only had one series. Kate, Linda, and Fala... yes, they had improved so much. But is it their year? Their chance yet? Nope! Their chances will come soon in the coming future. But not this year! And of course, Tavia. Tavia is an actress that can be evil or sweet with no sweat. Using just that same face, the sweetness and evilness are completely different. She pulls it off without lifting a finger. Without a trouble. Tavia's emotions and expressions flows out the TV screen. They are painted out of her face and transmit on to you. Her evilness, sadness sweetness, seriousness, and comedy are all very well flown on to you. It's like something that just stick on to you and you feel it. You feel her emotions and expressions. 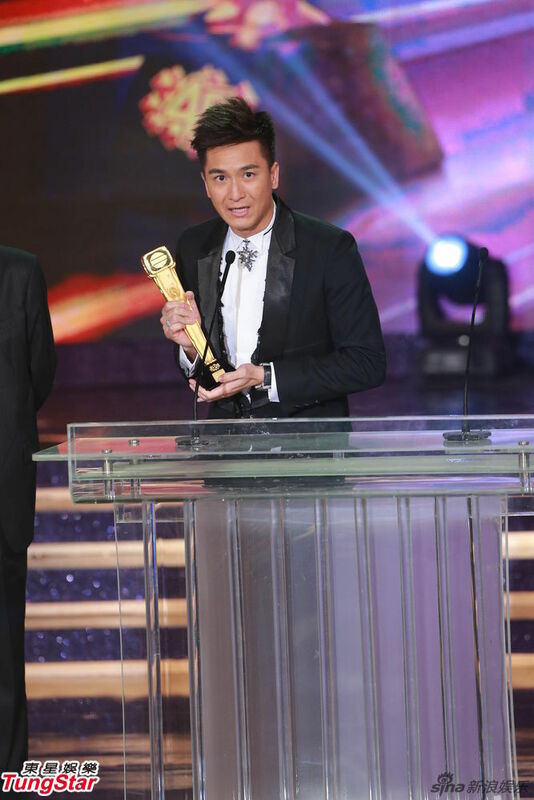 Although, I felt that no one 'truly' deserve the award, but yes Tavia really deserve it. It was her turn, her year to get the Best Actress. She had worked hard for it and in the future years, the other three fadans will receive it as well! 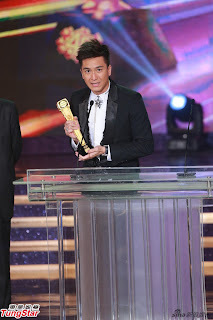 I just want to make a little comment to the 2012 TVB Awards. During this whole hype awards season, I was on hiatus so I really didn't care much about it. Well, truthfully, I actually really didn't care in general :P I don't know why, but I didn't care much about 2011 Awards either. I guess I really didn't care after the 2010 Awards. Everything just went downhill? Haha.. I just felt like no other Actress or Actors really fit the 'Best Actors and Actress' title. But, I am happy for Myolie and Kevin for winning the 2011 title. And of course I am very happy and proud for Tavia for winning the 2012 title. She does deserve it this year! Best Series was given to When Heaven Burns. Well, I was really shocked to hear that WHB had won this award. I really had high hopes for On Call 36 to win. I thought to myself, "huh how did WHB win the award? Was there a mistake? Didn't the series got the second to lowest rating? Didn't Hong Kong citizens complained about the whole series?" But I did give it a slight and deeper thoughts and I am actually happy that it had gotten the best series award. Because WHB does deserve this award. WHB has a totally different feel to it. It definitely have a amazing cast! The genre, the feel, the lighting, editing, script, everything was different. It wasn't a normal 'TVB Series' it felt like it was grander. It was something you will feel in a Hollywood movie. WHB will be a series that you might see in Hollywood. (well i'm not so sure about that, but you know what I mean?) WHB is just different and I am happy that it got its recognition. Okay, I really didn't finish watching it, but I might go back and re-watch it. I left off in eps 3? I don't even know...hahaha. I do think that if WHB were ever to be aired in Hollywood, I think it will get the Grammy Award. The post is getting long so I'll continue in the next post! Do you guys think that its too cluster and messy? I really like the colors though hahaha. Well anyways, let me know and I'll change it somehow! Hmm, so winter break is finally over for me. I'm going back to school tomorrow. I'll try bestest and hardest to update! Like I had said previously, I'm just going to begin with the 2013 series. -Its alright. Is Joey Meng the female lead? a lot of posts I want to do but a bit too lazy to blog it. -_-" I know! I have a question! Should I make a twitter too? 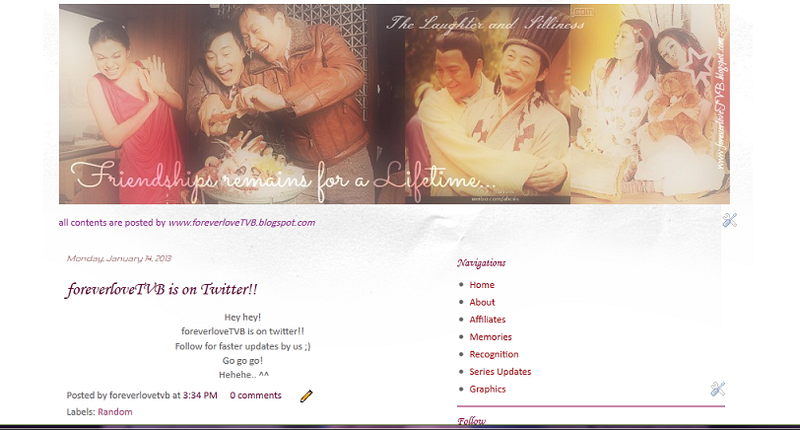 Should foreverloveTVB go on twitter so everything will be fast and easy? Hehehe... I don't know if I should? I saw my fellow TVB bloggers joined Twitter and I was wondering if I should as well. well, I think you peeps shouldn't expect anything from me. Lol. Yes, I'm on my winter break and I know I should have a lot of time now to blog. Yes, I do, I have lots and lots and lots of time! But guess what I use those time for? Yeap! I SLEEP like a Bum and loving it. My eyes would pop open around 9 or 10 in the morning, but I don't get up. Well, anyways, I have no idea what's going on with TVB or anything. I'm going to tell you guys right now that I have no motivation whatsoever. 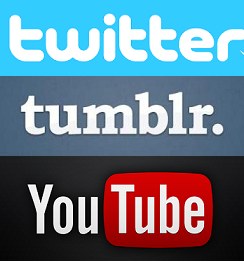 I have all these posts that I want to blog about, but too lazy to actually blog them. And I really don't have that motive to do anything on this blog. and have no comments at all. and the remaining of TVB2012's series. If I do watch TVB series, I'll start with TVB2013! Only Friendly Fire and Missing You were released right? But, I am watching Missing You the one from Korea though. We will see how it goes. Lol. It's not the color I was hoping for. But, its okay, I'll change it soon. And and I have FINALLY Finish my fanfic that I had started back in 2010. -_______- yes, I know it took me three years! Hahaha.. but anyways, head on over to read it! Okay, this is getting long so I shall stop here. oh and P.S. I don't know what I'll do with my EternityBT blog. I think I'm going to close it or if any of you want to help me with it.